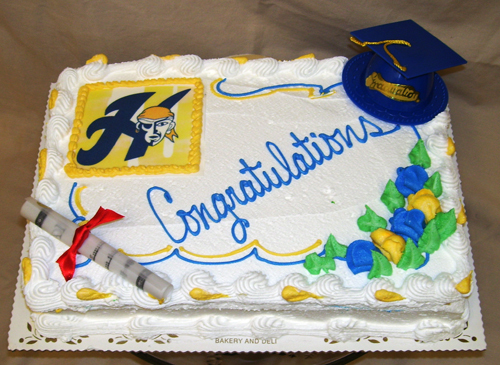 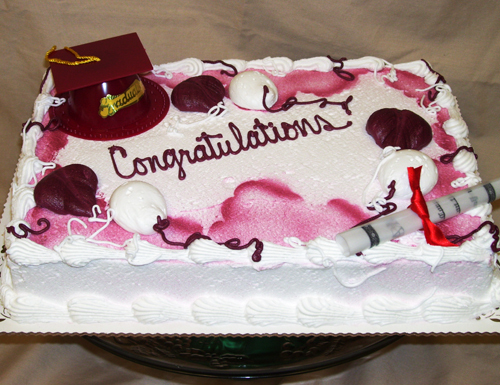 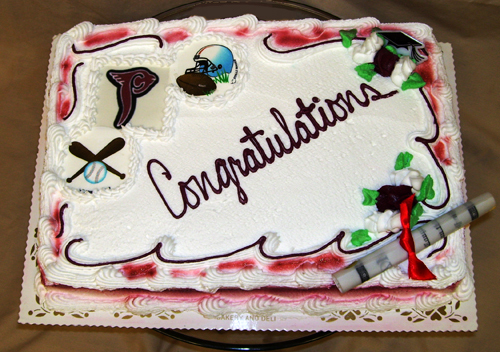 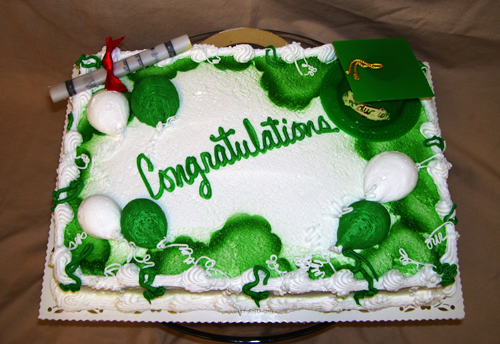 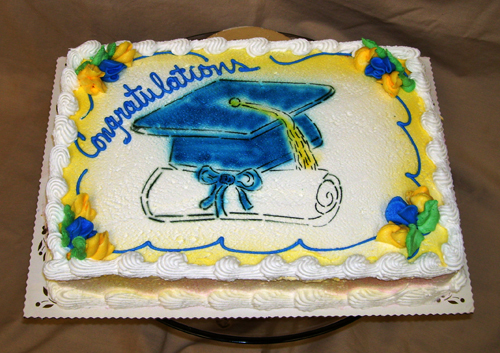 Our made-from-scratch graduation cakes are available in white, chocolate, marble, carrot and red velvet. 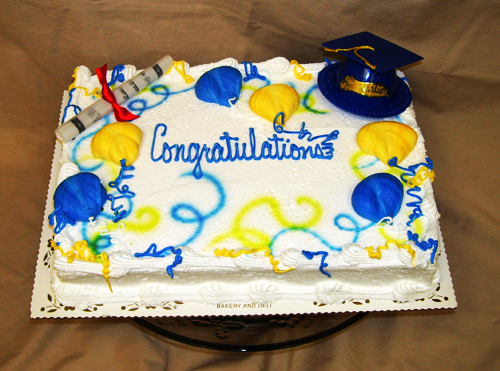 Sizes include 1/4, 1/2 and full sheet, plus round layer cakes from 7" (8 to 10 servings) to 16" (80 servings) in diameter. 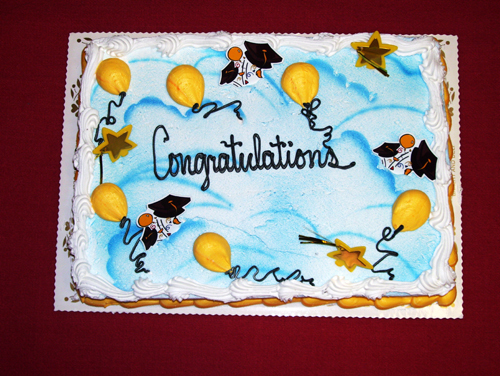 They can be fully decorated with flowers, balloons, edible images and figurines. 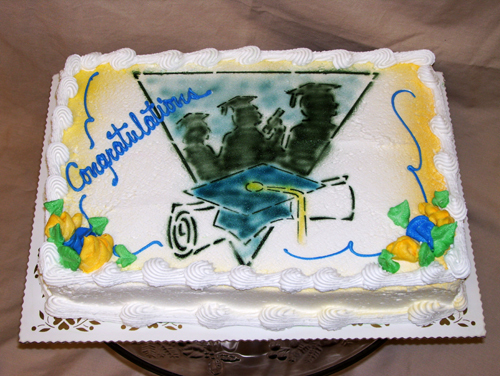 We also can apply stencils and copy your favorite images. 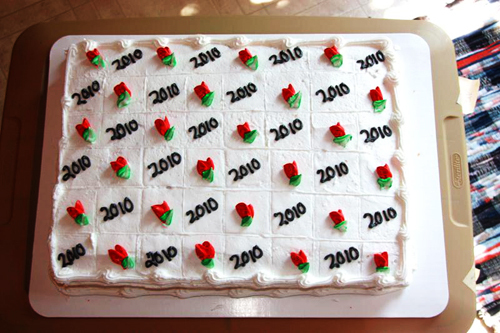 For more ideas, stop in at Emily's and check out our idea book. 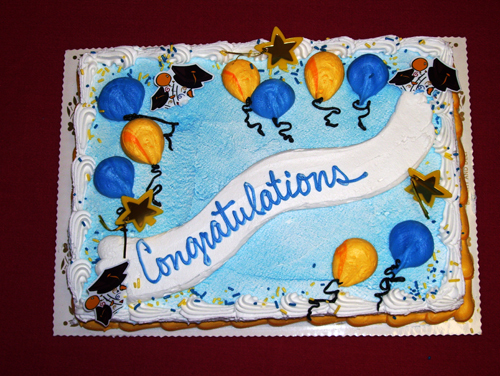 As the photos on the right show, the possibilities are almost endless! 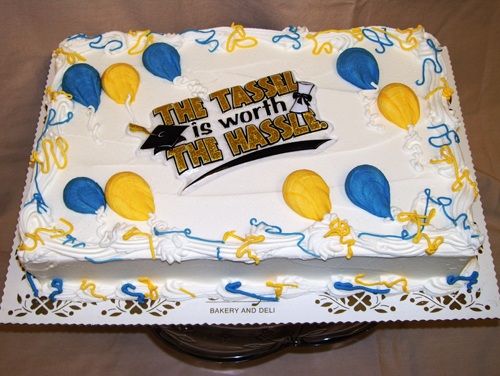 Just give us a call and we'll help you design the perfect cake for that special graduate. 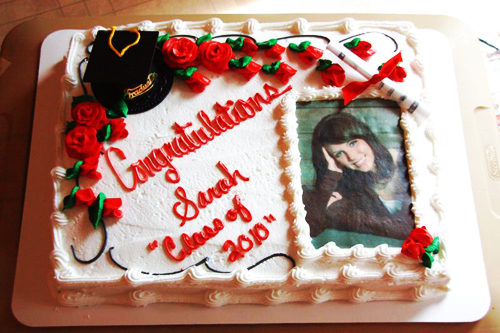 Copyright © 2011, Emily's Bakery & Deli, Inc.